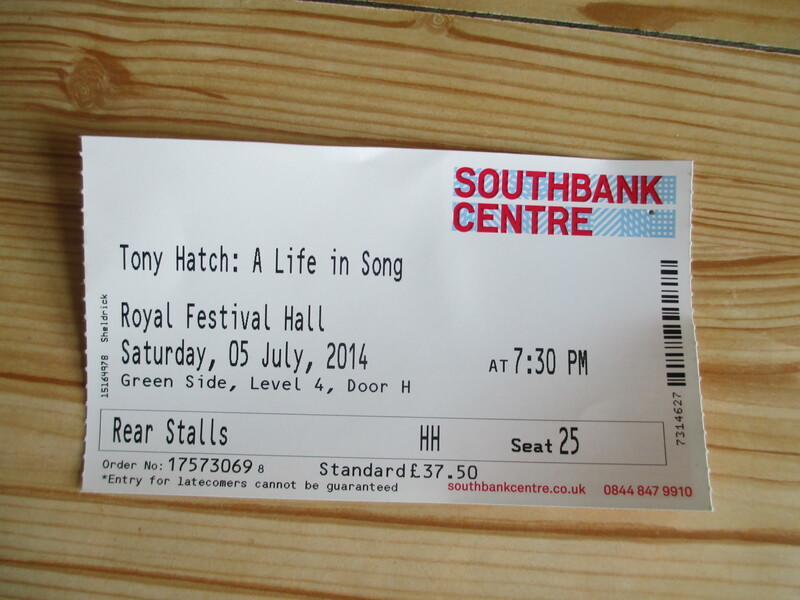 A few weeks ago, I heard Tony Hatch interviewed on Radio 4’s Midweek. This sent me scurrying off to book a ticket for this one-off event. I didn’t regret doing so. The evening opened to an orchestral medley of some of Tony’s best loved songs. Even the joker in the pack, ‘Neighbours’, came out well given the same slightly swinging treatment as the ‘60s songs surrounding it. The selection was topped and tailed by the song which defines Tony Hatch more than any other, Downtown. Then a red-socked Michael Grade, our genial host, introduced the man himself. Tony chatted with Grade about his early aptitude for music, honing his skills as head chorister at London’s All Soul’s Langham Place. He saw his future within classical or choral music but London’s Tin Pan Alley beckoned and Tony followed the almost mythical route from Denmark Street tea-boy to staff producer and then songwriter at Pye, pitching his first song with a young Gerry Dorsey. Then followed the golden years which produced a wealth of hits for Petula Clark, not forgetting a whole smorgasbord of television themes and those now largely forgotten albums of orchestral pop. He revealed that all his songs were commissions – he almost never writes according to whim, preferring the pressure of the ‘Tony, could you give us a song for…?’ phone call. We were treated to a generous smattering of the Hatch back catalogue, almost all of it from the ‘60s, courtesy of an array of guests. I particularly enjoyed Rumer’s contributions, her Call Me highlighting the inherent jazz-cool of a song covered by luminaries like Sinatra and Sammy Davis Junior. She also offered Where Are You Now?, a memorable early Hatch-Trent co-composition originally sung by Jackie Trent. John Owen Jones tackled Tony’s first song success, Look For a Star (from Circus of Horrors –original vocal, Gary Mills) whilst Sophie Evans positively sparkled through I Know A Place (which Tony revealed was about The Cavern – of course the ‘cellarful of noise‘ being the giveaway). Jo McElderry gave us Tony’s own favourite Joanna which pleased Jo’s fans in the audience no end. I Love the Little Things, a Eurovision entry for Matt Monro, had a rare outing. Tony speculated rhetorically about how the song might perform in the Eurofest today. The big surprise for me was Messing About on the River which I never knew was a Tony Hatch song, sounding so little like one with its repetitive, low-key, folkie melody. It just goes to show his versatility. Tony accompanied himself at the piano, remembering every word of this ‘catalogue song’ inspired by Kenneth Grahame’s Wind in the Willows. After the interval (a drink for Tony and Michael and a ginger and honey ice-cream for me) we were greeted with another medley, this time of television themes – Emmerdale drew two bursts of applause to ‘Neighbours’’ one though I wish it had been the original ‘lonely’ Emmerdale Farm with its plaintive oboe, not the lush 21st century version. Marti Webb showcased a perhaps lesser side of Tony, his forays into musical theatre in the ‘70s via The Card and Rock Nativity. 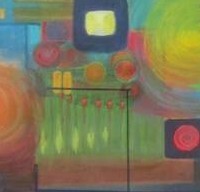 Sophie was back for one of my favourites, the exuberant Colour My World. Tony recalled that Petula Clark, always on the lookout for something different, wanted a sitar introduction but the player needed to meditate first so his part had to be added to the recording later. After Jo McElderry’s rousing I Couldn’t Live Without Your Love (‘my favourite dog food commercial’ quipped Tony) and Rumer lending warmth to Cranes Flying South (pleased to see this lesser known song represented) – came the moment, I suppose we had all been waiting for. All evening ‘Downtown’ was the big unmentionable because everyone knew its performance by Petula Clark – in person – would form the highlight of the evening. Petula had not been billed in early publicity for the event though I hoped ‘… and special guests to be confirmed’ reserved the right for her to appear. No true appreciation of Tony Hatch could have been complete without her. And appear she did, to a rapturous reception. Petula performed The Rainbow, a new Hatch-Clark composition, and after the wondrous Don’t Sleep in the Subway it was – ‘let’s get it over!’ – Downtown. Tony wrote ‘Downtown’ when inspired by a visit to New York’s Time Square which, he explained, is technically uptown. Nobody let this worry them too much and I doubt Tony has either over the fifty years since Downtown became a huge international hit. We all revelled in the moment – a superb signature song by the original artist, a half century on and still sounding as freshly minted as the day Tony first played Petula the melody in her Paris apartment. The slightly under capacity audience rose to their mainly 60-something feet and sang along. Orchestral Medley: Downtown, I Know a Place, Don’t Sleep in the Subway, I Couldn’t Live Without Your Love, The Other Man’s Grass is Always Greener, Call Me, Joanna, Neighbours, Sugar and Spice, Downtown. Look for a Star, Forget Him, I Love the Little Things, Where Are You Now? Messing About on the River, If You Ever Leave Me, Joanna, I Know a Place, Call Me. Orchestral Medley: Man Alive, Sportsnight, Crossroads, Emmerdale, Hadleigh, Mr & Mrs, Neighbours. Moving On (The Card), Opposite Your Smile (The Card), Make a New Tomorrow (Rock Nativity), Conversation in the Wind, Colour My World, I Couldn’t Live Without Your Love, Don’t Give Up, Cranes Flying South, The Rainbow, Don’t Sleep in the Subway, Downtown.